Yankee Hill Machine unveiled the .45 Caliber Sidewinder pistol suppressor (along with its brother, the YHM 9mm Sidewinder) in 2015. 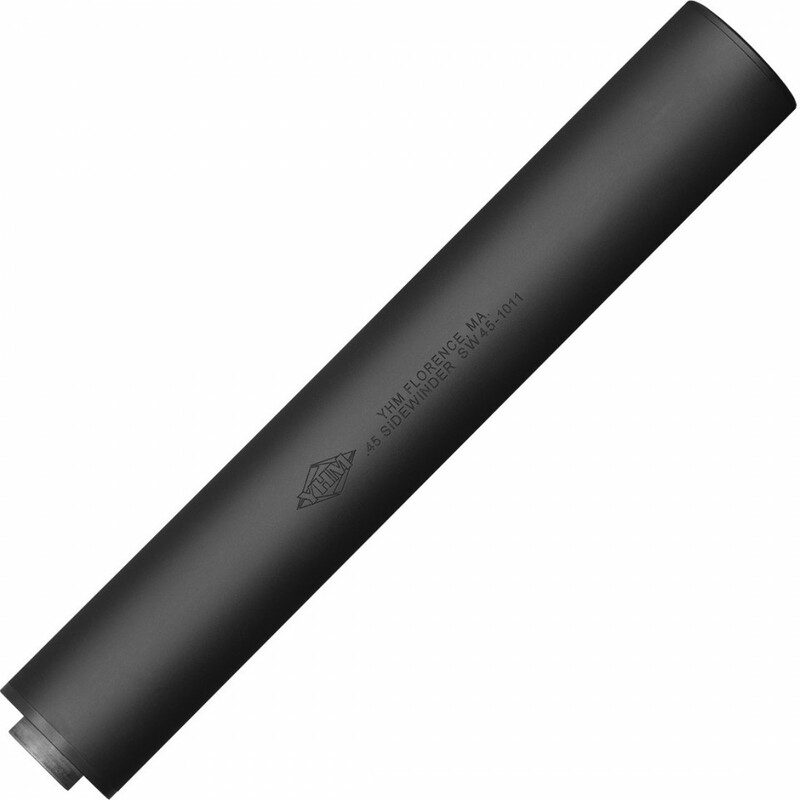 After extensive research and testing protocols, the optimized .45 Caliber Sidewinder offers shooters an affordable, versatile silencer that will be a welcome addition to any collection. The Massachusetts-centered YHM strives to bring quality firearm products to the public at a great value. For this line of Sidewinder cans, they engaged an innovative, high-efficiency monocore baffle constructed from sturdy 7075-T6 aluminum (hard-coat anodized). Moreover, the outer tube utilizes durable 6061-T6 aluminum (also hard-coat anodized). These resilient materials offer high-strength and longevity in a relatively lightweight package (under 11 ounces). The Sidewinder’s remaining components are formed with heat-treated 17-4 stainless steel, which is extremely resistant to corrosion and will not breakdown in extreme temperatures.